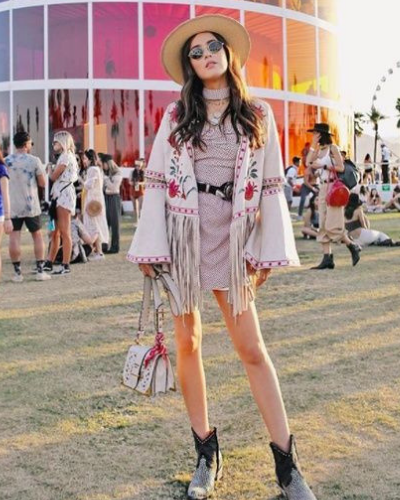 Located in California, this festival calls for an ultra-cool mini dress, boots and an oversized denim jacket for night. 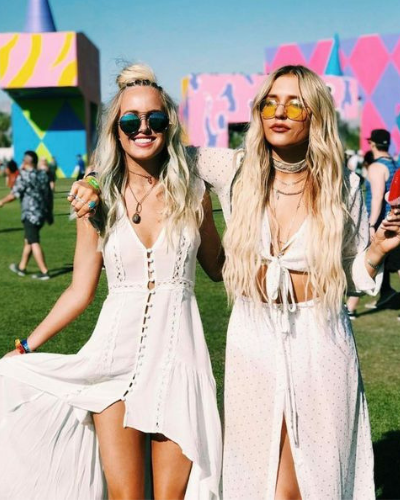 Located in Arizona, this small festival is the perfect place to try out southwestern chic. Surfs up! For this Alabama beachside fest, try jean shorts with a bralette and kimono top. Go for rustic chic to match the tone of this woodland festival. Try ankle boots with a midi skirt or dress and chunky belt. You’re going to want something you can dance in for this fun Seattle Block Party. Try a sundress or flowy skirt with a tank for comfort.